We make this organic face cream by taking five pounds of the same rare clay used in our face mask Nature’s Transdermal Face Food™ .And we meticulously extract the fulvic acid mineral complexes including gold and platinum (gold reestablishes cellular connections and platinum is considered the ultimate anti-oxidant). We then use electricity to amp up the potential of these mineral complexes and molecularly align their structure with neodymium magnets.To this mineral structure we add powerful extracts of Frankincense and Kigelia that are blended into an organic cream base of hand-filleted Aloe, Beeswax, and free saturated fatty acid LMTs that we extract from Coconut Oil and Lecithin. The value of Mystique™, the world's most luxurious, effective organic face cream, is derived from the highest possible quality ingredients, the unique craftsmanship, and the transformational benefits enjoyed by its users. 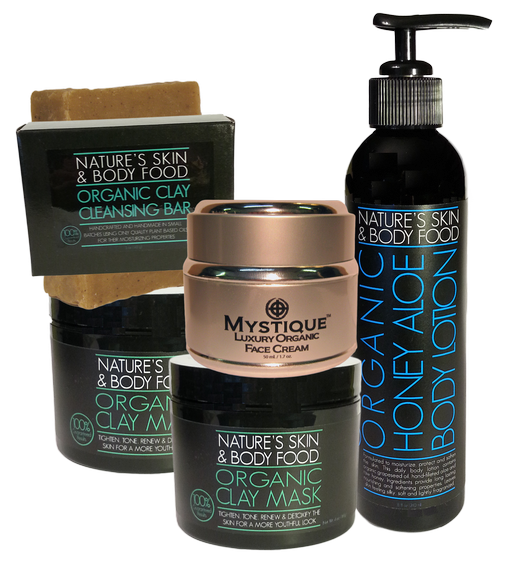 Mystique's™ outstanding properties are also the result of the artisan way in which each ingredient is sourced, specifically compiled, meticulously combined, and then hand blended and filled. Few other skincare products on the market require this much attention and care from beginning to end. The product you'll hold in your hand is a masterpiece and a triumph. This is the Mystique™ difference. To the microscopic life giving elements present in Mystique™ we add a particularly powerful extract of Frankincense. At one time Frankincense was more valuable than gold due to its therapeutic and healing properties. 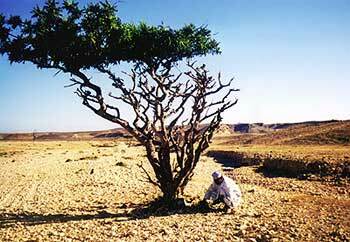 We take our favorite Frankincense resin grown in Oman and apply our own proprietary extraction process. Mystique™ contains the highest concentration of Frankincense of any beauty product produced in the world. We then add a powerful extract of Kigelia. Kigelia is grown is South Africa and is such a powerful natural healing agent on the skin that it is used as a treatment for Leprosy. Kigelia is one of the most effective natural treatments for environmental skin damage such as solar keratosis. It also has favorable effects on eczema, rosacea, acne, and psoriasis. 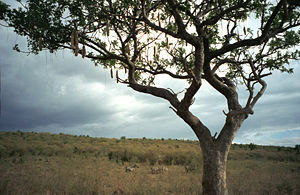 In Germany, Kigelia is one of the main ingredients in prescription skin medications. We do our own proprietary extraction of the freshest Kigelia shipped direct from South Africa. Mystique™ contains one of the highest concentrations of Kigelia to be found in any beauty product produced in the world. Our master formulators rigorously evaluate the activity of each batch of Mystique™ organic face cream, and if our high standards are not met the batch is discarded and we start again. Because of the intricate, artisan process that goes into making each jar of this organic face cream (which is hand filled to this day), only small quantities of Mystique™ are produced in each batch. Mystique’s™ transformational effects are awe inspiring and have inspired a global following. With continued use your skin will appear visibly smoother, fine lines and wrinkles will diminish, and even the driest and oiliest complexions will become balanced. 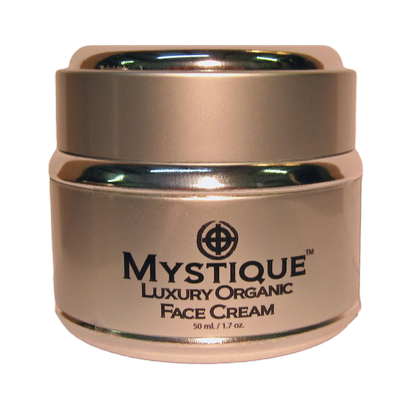 Mystique's™ beneficial effects speak loudly which is why the product continues to generate loyal devotees. This Face Cream's effects are comparable to Creme De Le Mer and other premium high-quality, results-oriented beauty creams. Fulvic acid mineral complexes (80 minerals including gold and platinum are naturally chelated, bio-available, and complexed with 28% fulvic acid), free saturated fatty acids (coconut extracted), hand filleted Aloe Vera juice and gel 100% concentration, energetically structured fresh spring water, 100% extractions of frankincense and kigelia, cucumber extract, MSM, lecithin, xanthan gum. Apply morning and evening to a perfectly cleansed face. 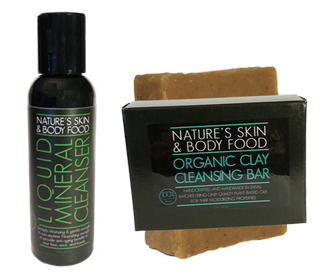 We highly recommend using our luxury clay cleansing bar for cleansing. For use on all skin types. Allow several minutes for cream to soak into your skin before applying makeup. Effects are immediate and cumulative (the longer you use the cream the greater the benefits). Apply to face and neck including behind ears and behind neck. Apply any excess to hands as a moisturizer. The Ultimate Home Facial - Transform your skin, click this link to learn how.